Officially at Dane County Regional Airport, we’re on track to have the wettest year on record. 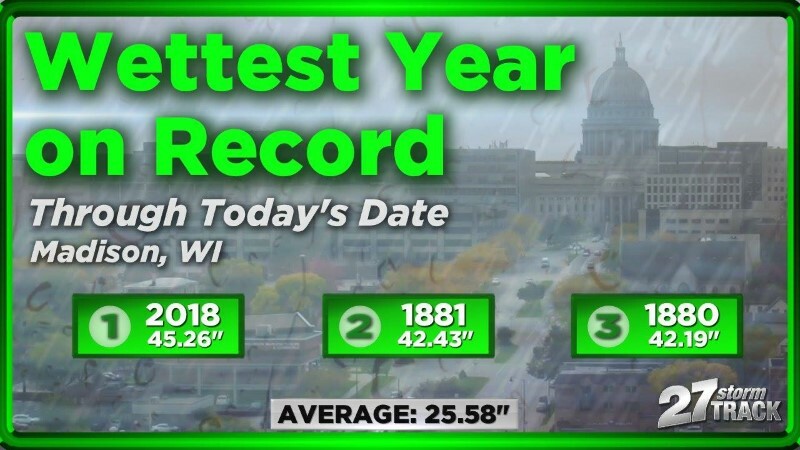 So far we’ve picked up 45.26″ of rain in 2018, nearly double the average through today’s date of 25.58″. And we’re not even close to second place. That was in 1881 with 42.43″. In third place, 1880 had 42.19″ of rain through October 8th. If we stayed completely dry through the end of the year, we’d still end up as the sixth wettest year on record.